Residents of a Carmel neighborhood are concerned following a suspicious shed fire and several vandalism cases. 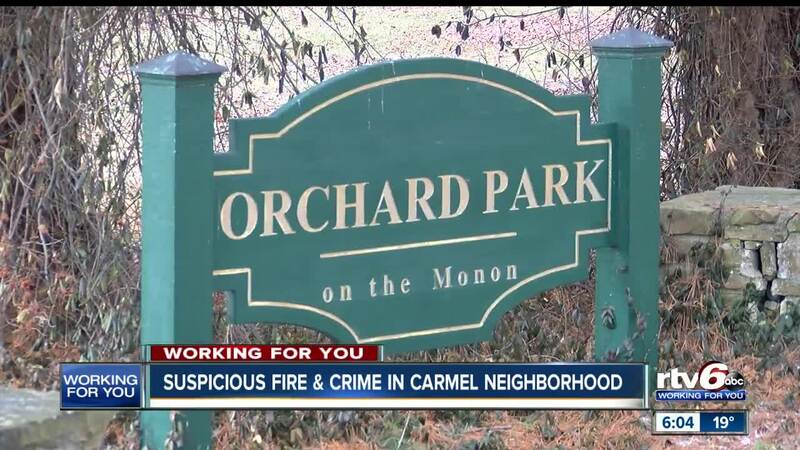 CARMEL — Residents of Carmel's Orchard Park neighborhood are being extra cautious, following a suspicious fire and cases of vandalism. The recent fire caused heavy damage to a shed. Neighborhood association president Matt Milam recently saw a person in his back yard during the early-morning hours. And the sheriff's office has responded to at least two property damage calls. "Whoever was doing the vandalism was going out and turning on the water faucet full blast, and then in one case, knocking down an electrical box on an air conditioner," said Milam. "And then they were messing with a screen on a glass door which would have entered the house." Orchard Park, which is off 106th. Street, has a neighborhood watch program, and residents are being urged to watch their surveillance cameras and report anything suspicious. "We just don't want them to come back and think this is a place they can come and cause problems and get away with it," said Milam. He is encouraging neighbors to put lights on their homes, keep their vehicles locked with valuable ought of sight, and report anything that doesn't seem right to the sheriff's office.